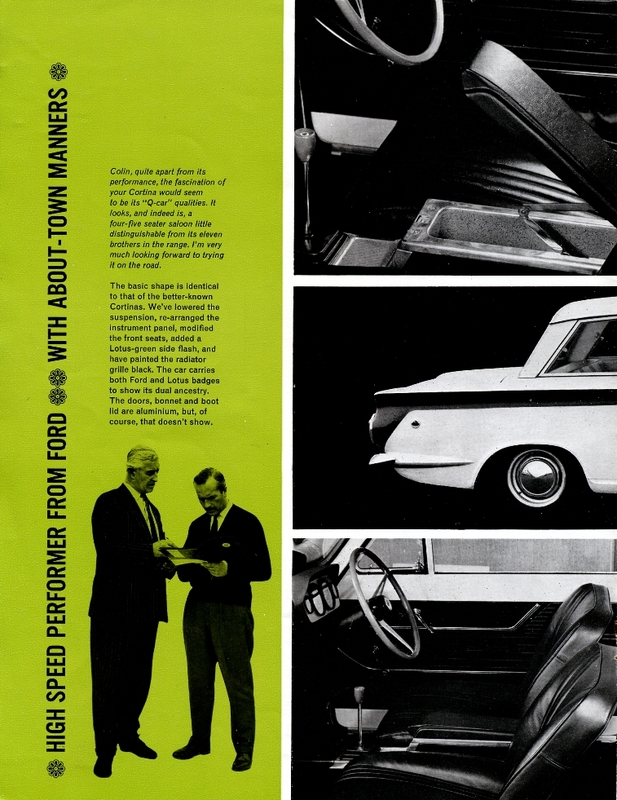 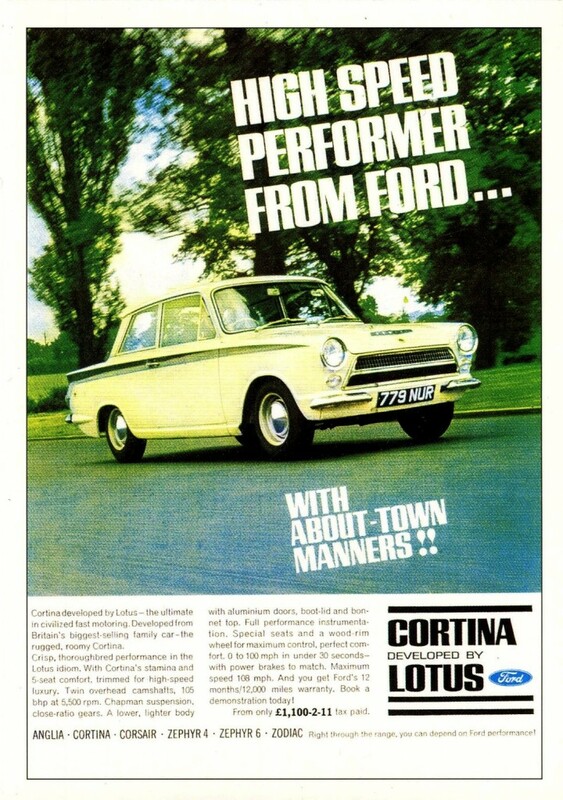 Not sure of the date of this, but this Ford advert must have been early due to the ‘Lotus’ badge in the centre of the bonnet, rather than on the grille. 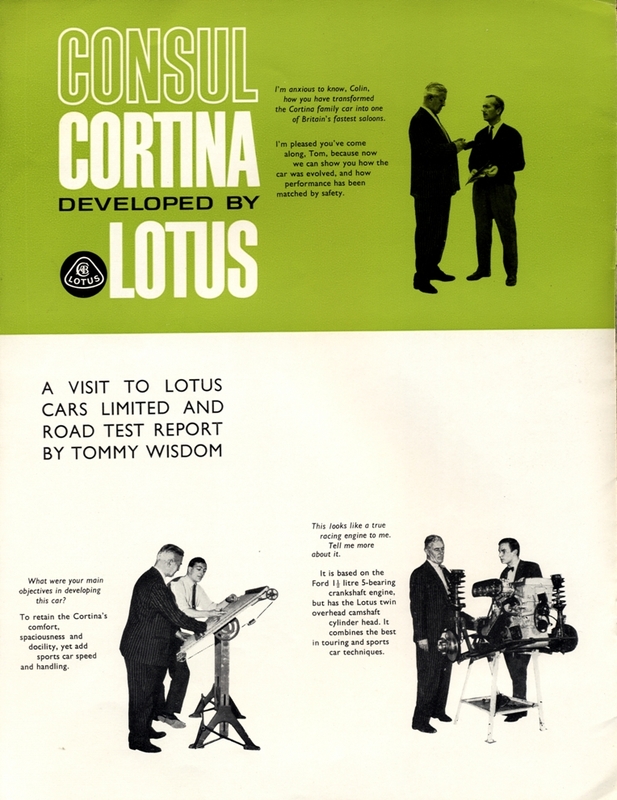 This was Colin Chapman’s own car, and was used in a Lotus advert towards the end of the year, with the badge in the normal production position. 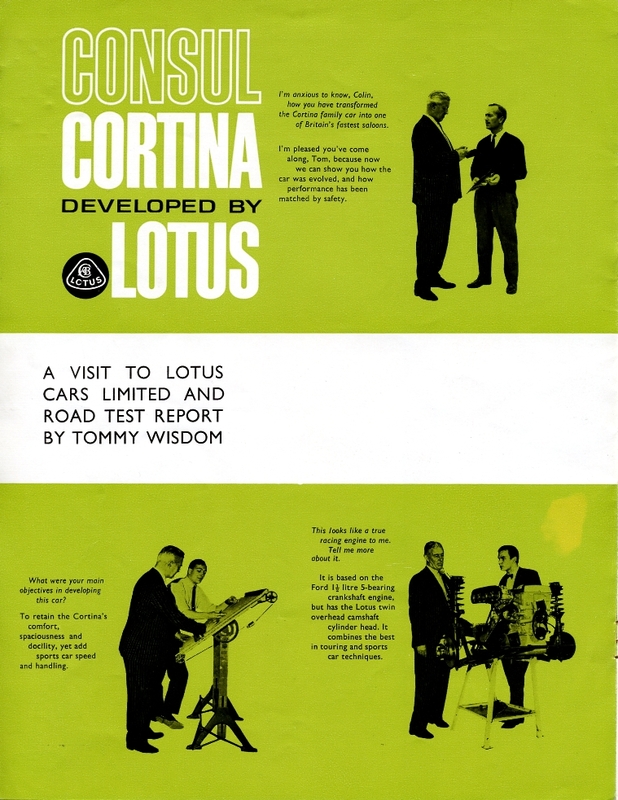 A new brochure was launched for the October Motor Show…. 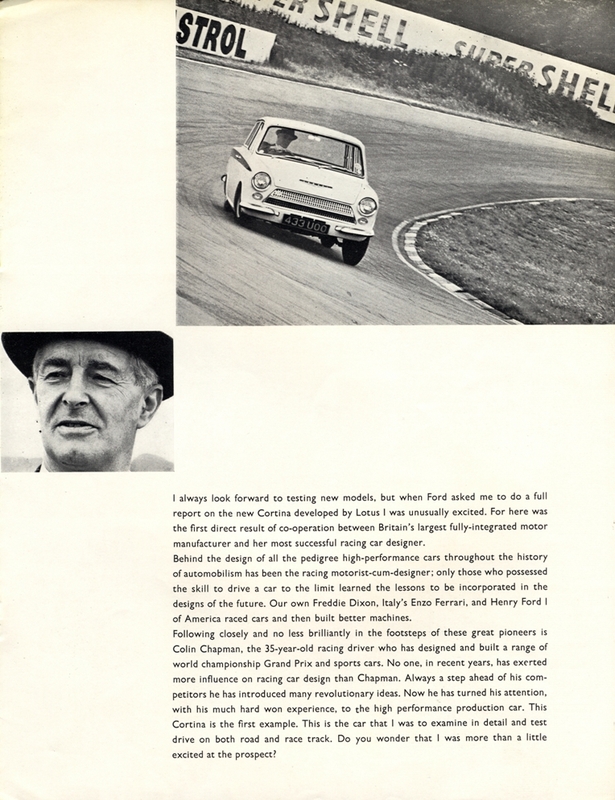 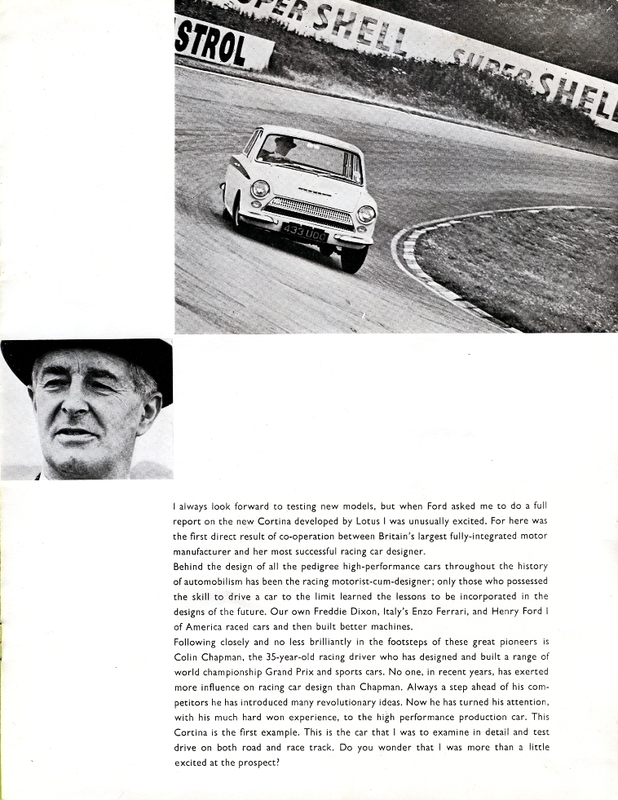 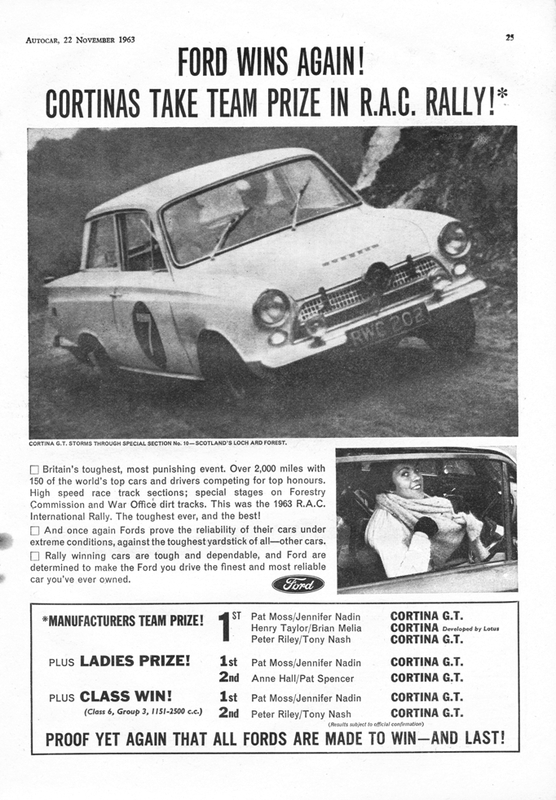 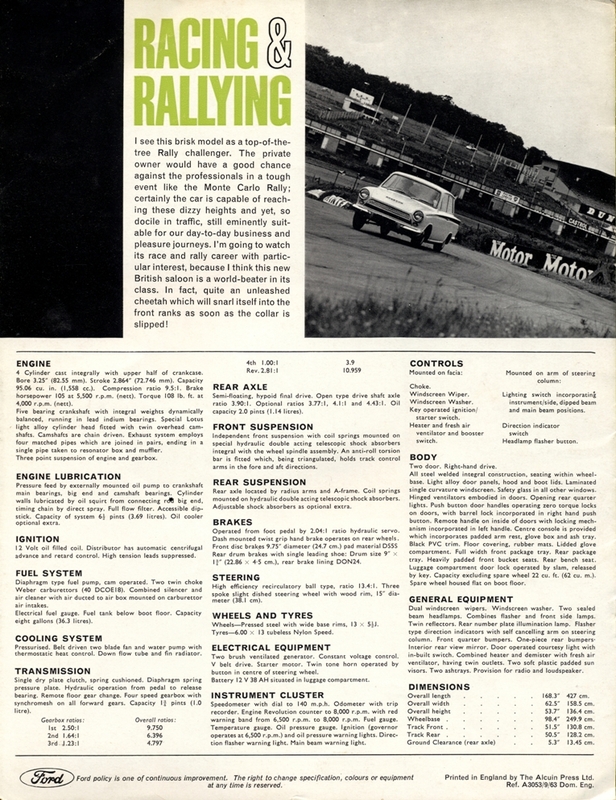 Ford entered the 1963 RAC Rally with 2 GTs and a Lotus Cortina, and gained some publicity from their efforts. 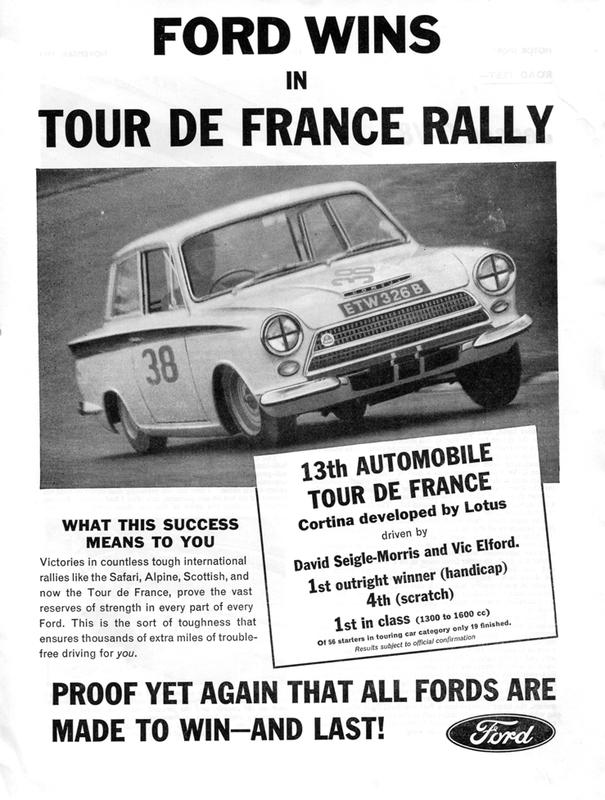 What wasn’t advertised at the time was just how much work it took to keep the Lotus Cortina back axle toether for the duration of the rally. 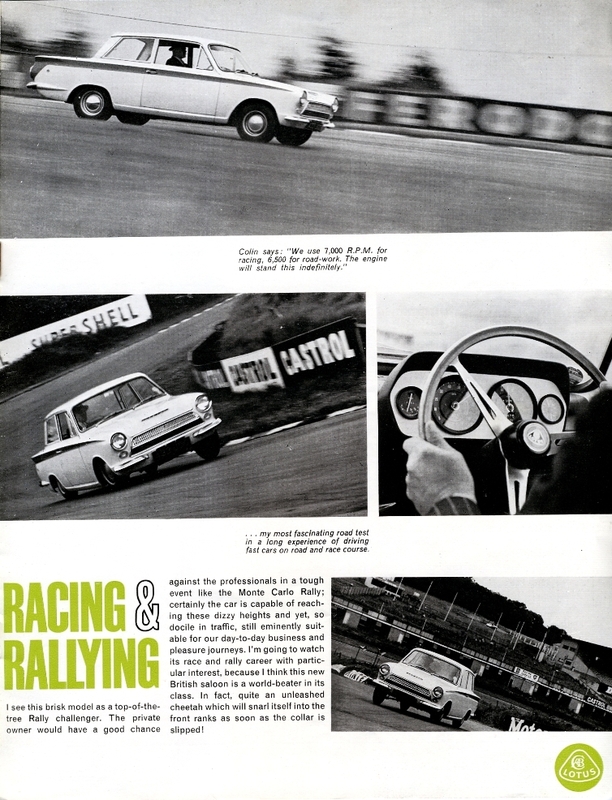 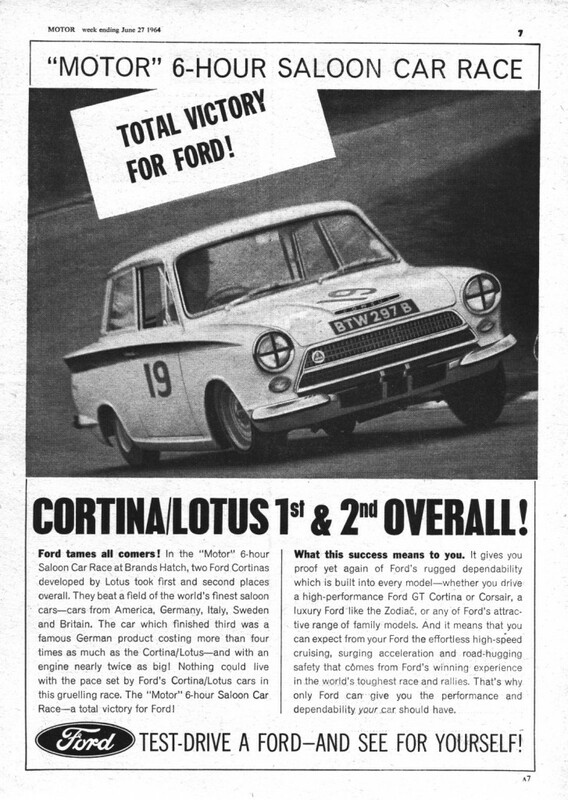 Lombard thought that a Lotus Cortina should have all the honours, but thought that the RAC was a race! 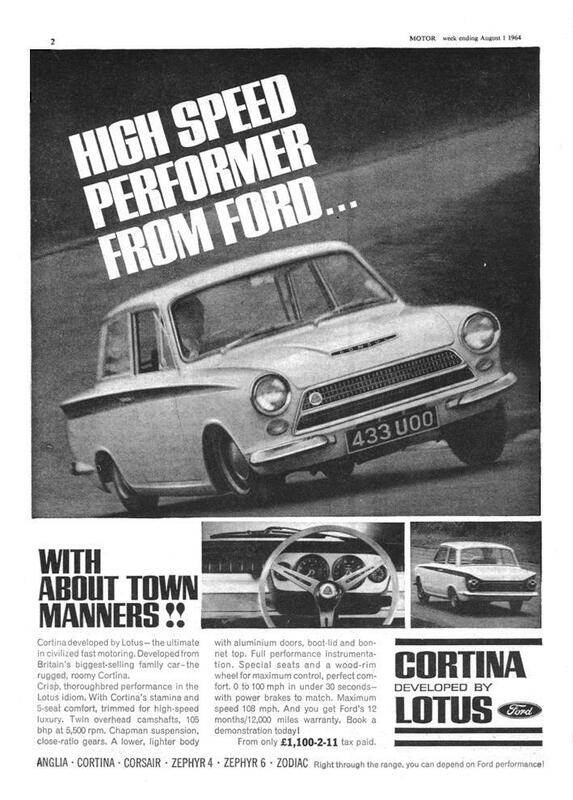 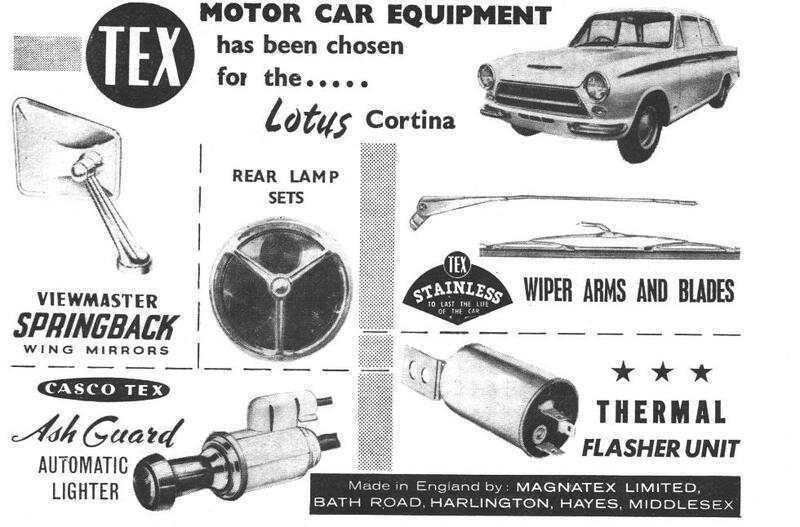 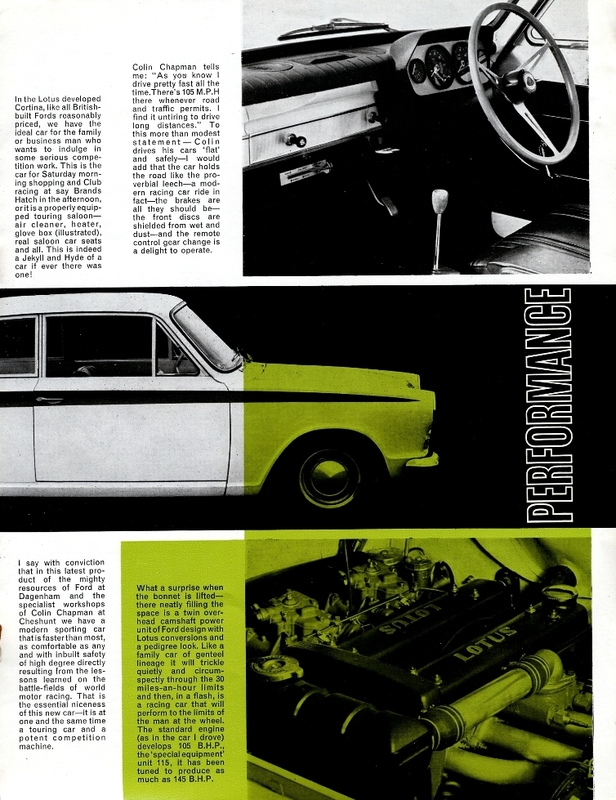 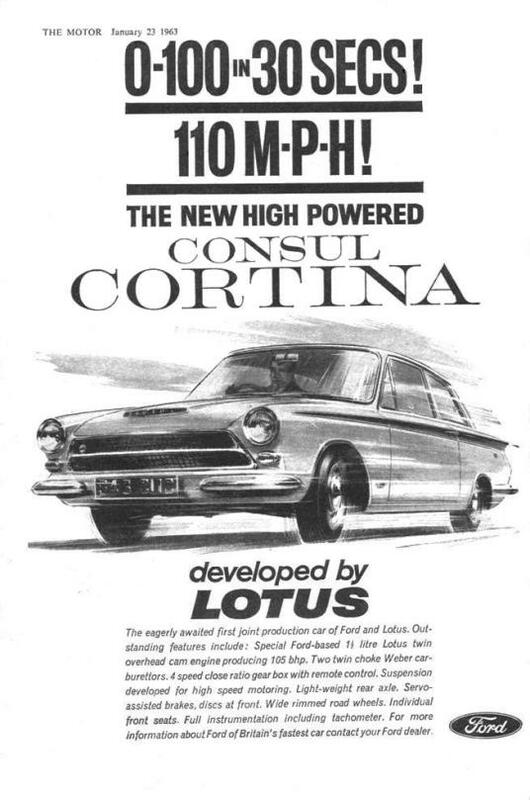 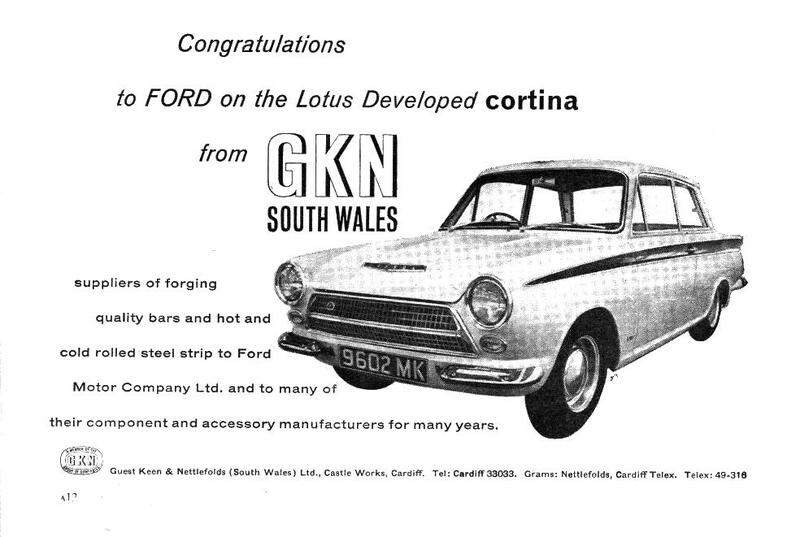 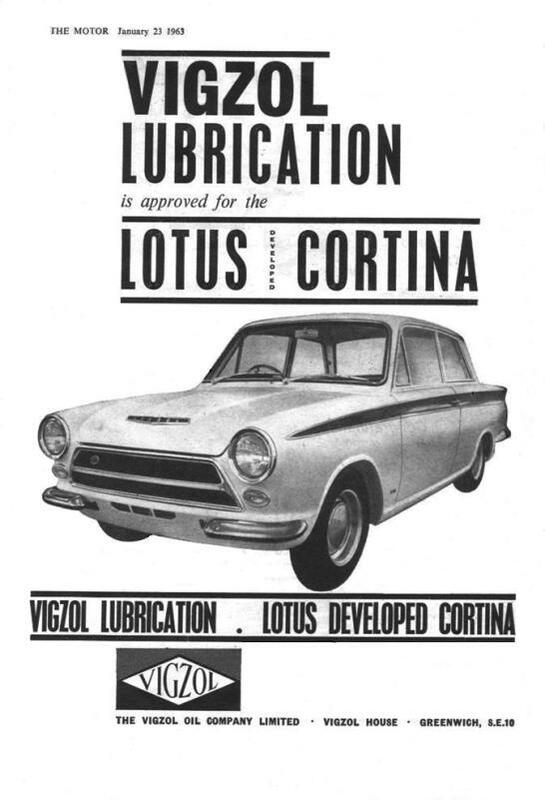 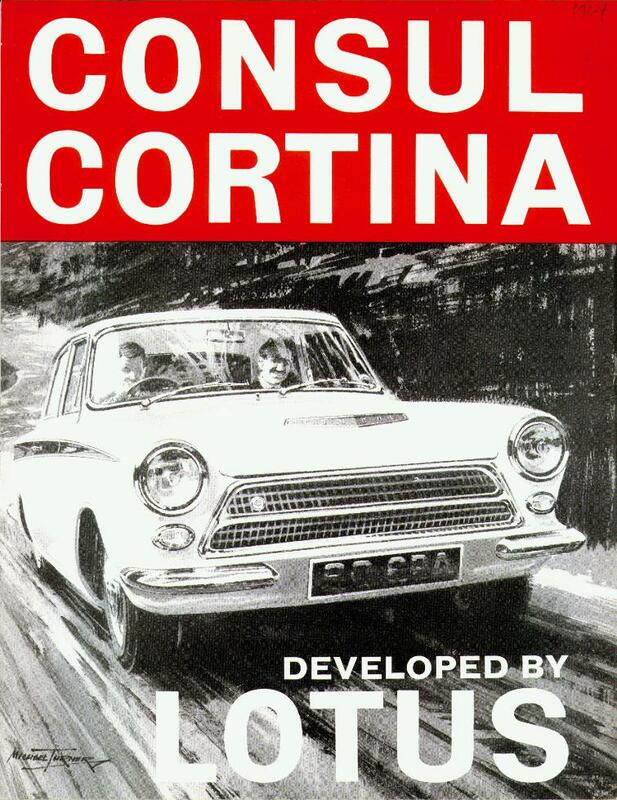 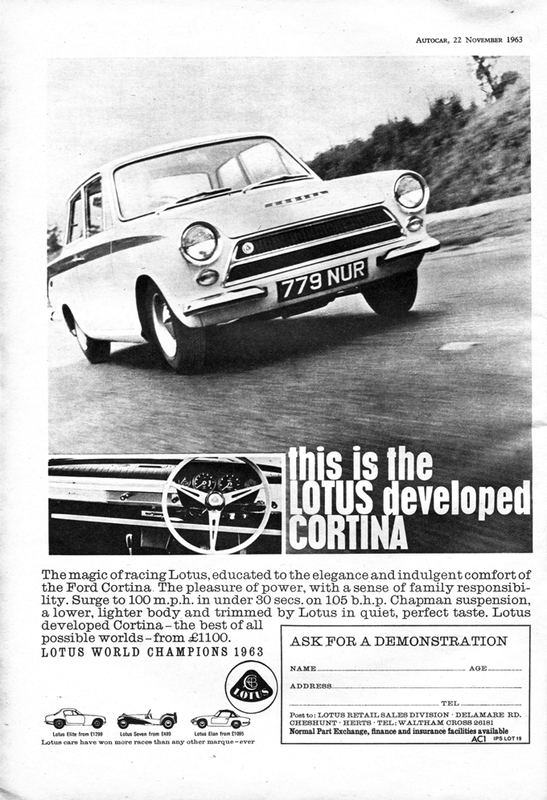 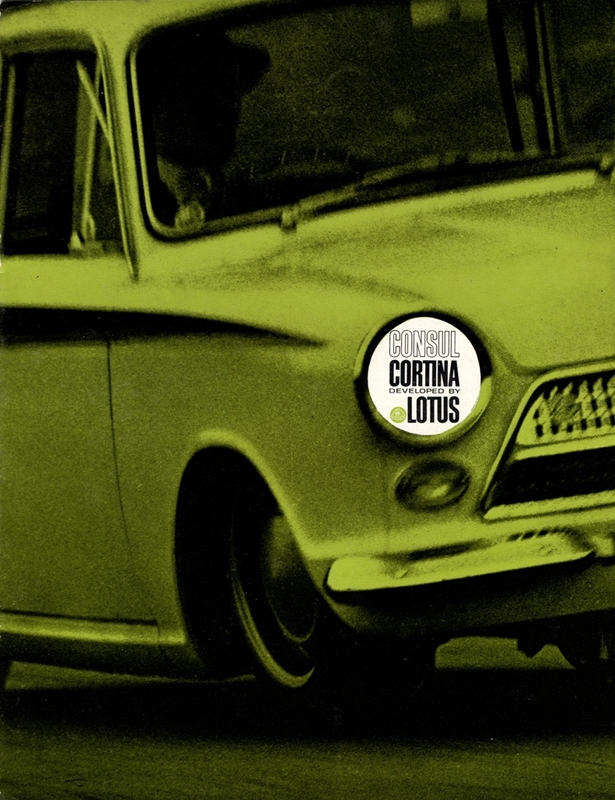 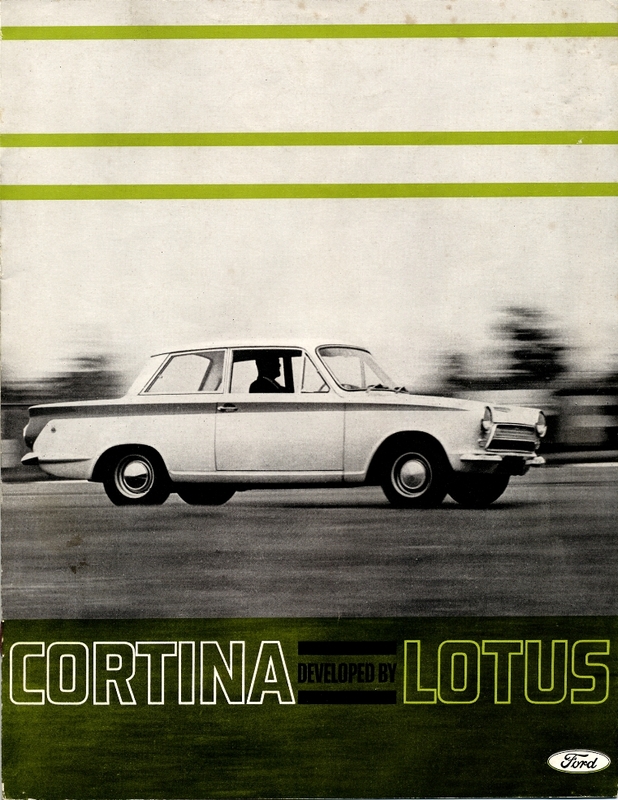 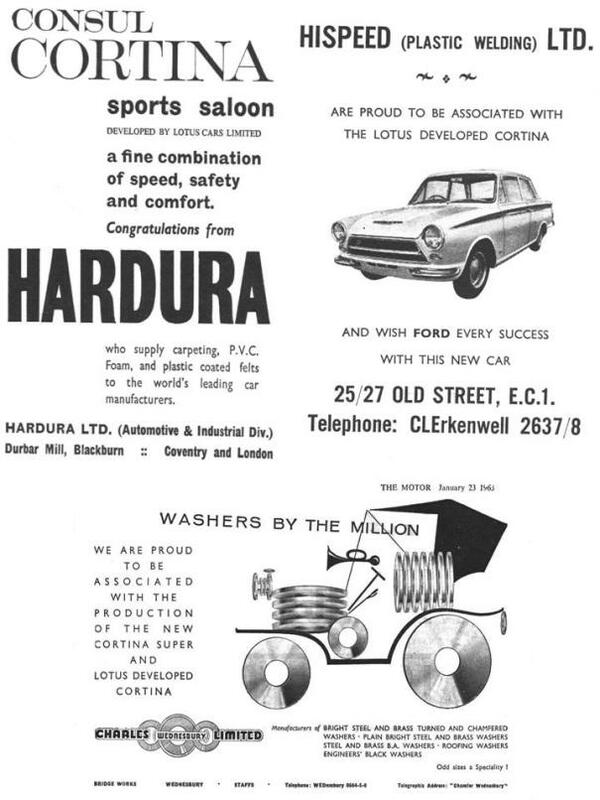 Lotus had just won the 1963 World Championship, so it was time for another advert for the Cortina. 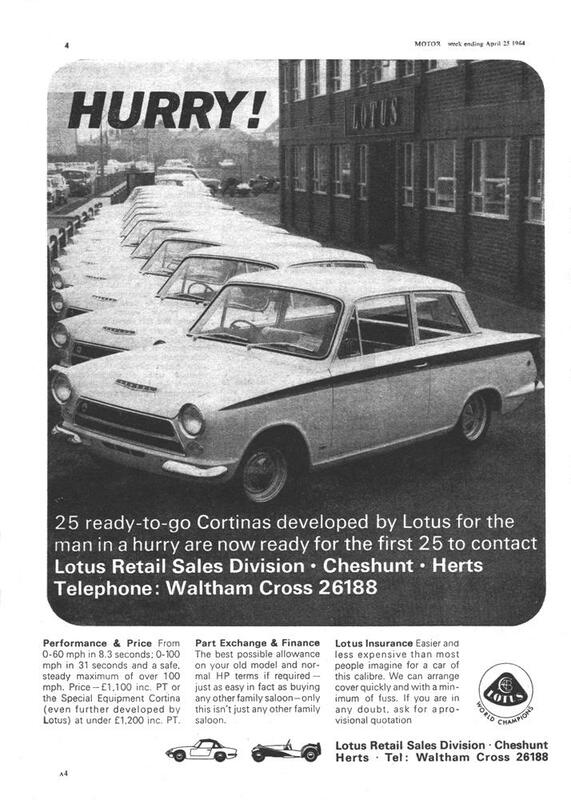 779 NUR, Colin Chapman’s ‘Company Car’, was used again, but this time with the ‘Lotus’ badge in the standard position. 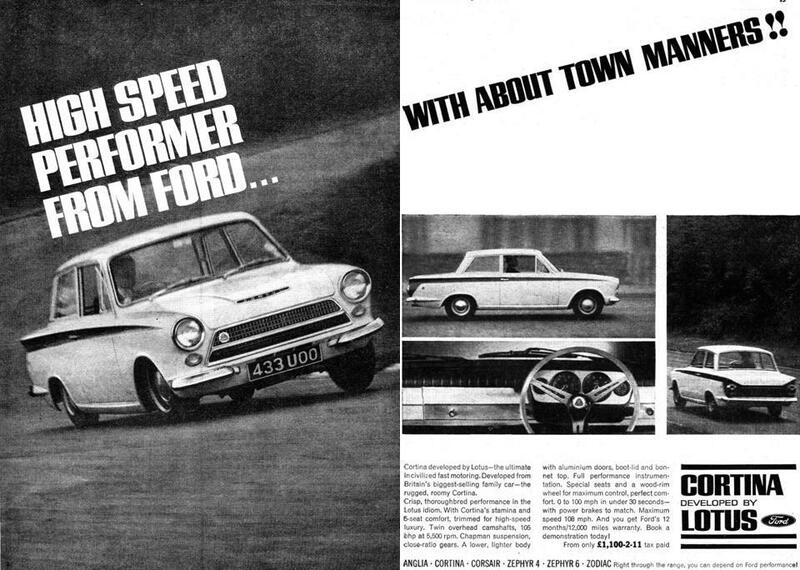 A new double page spread advert appeared in Motor magazine in June. 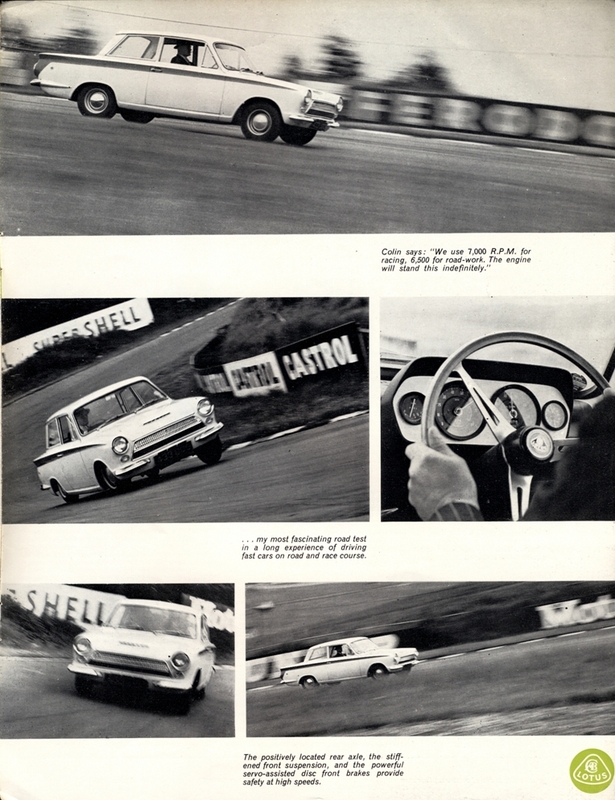 The main photograph on the left was going to earn it’s keep as it was used in several subsequent adverts, altered for specific cars and even an Aeroflow car. 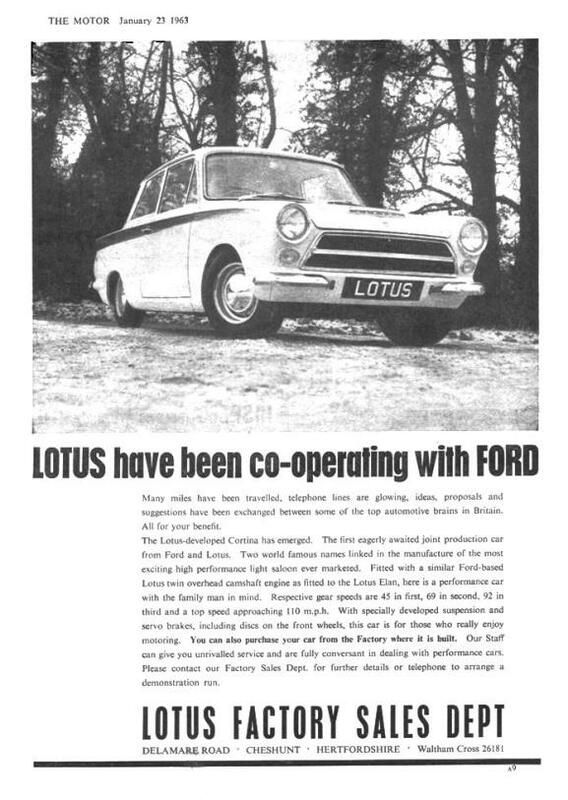 A single page version of the double page advert produced in June is issued. 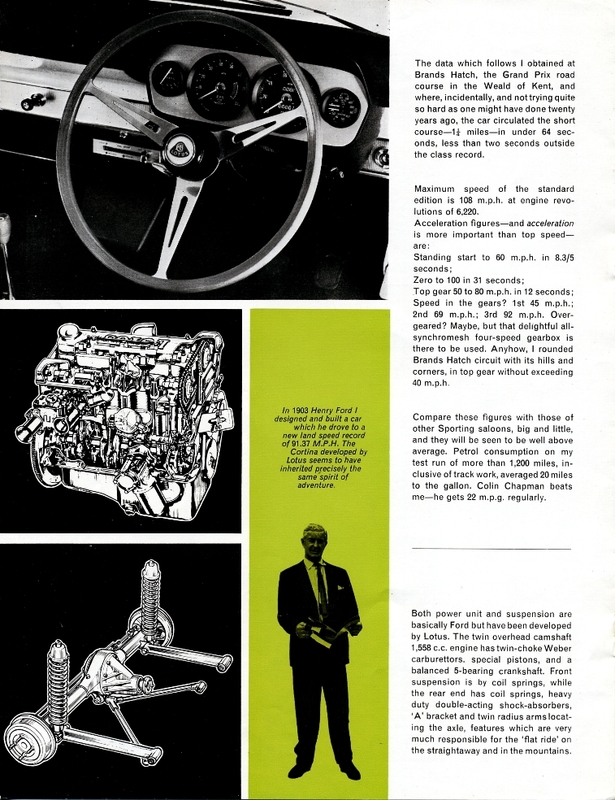 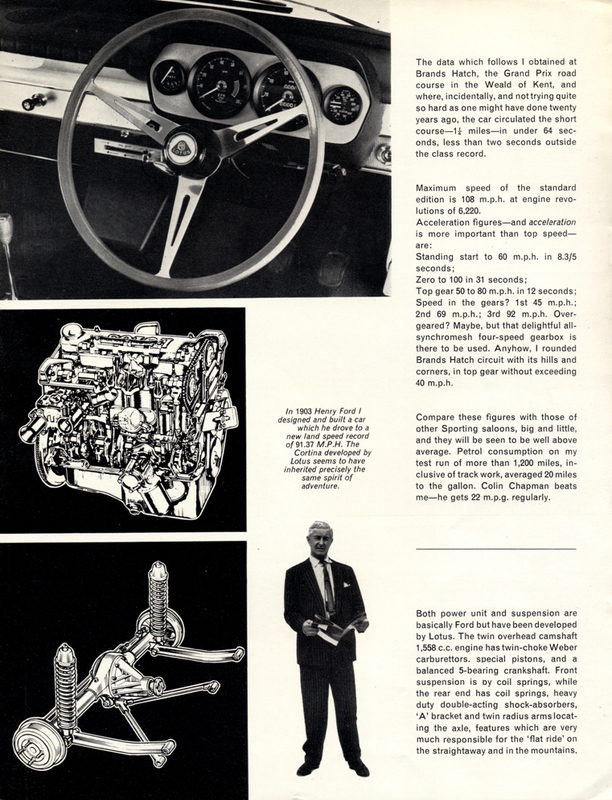 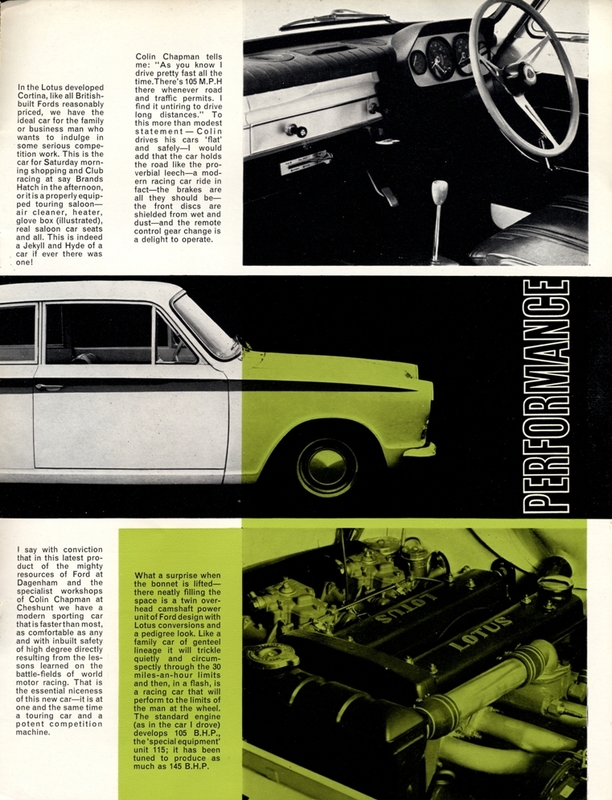 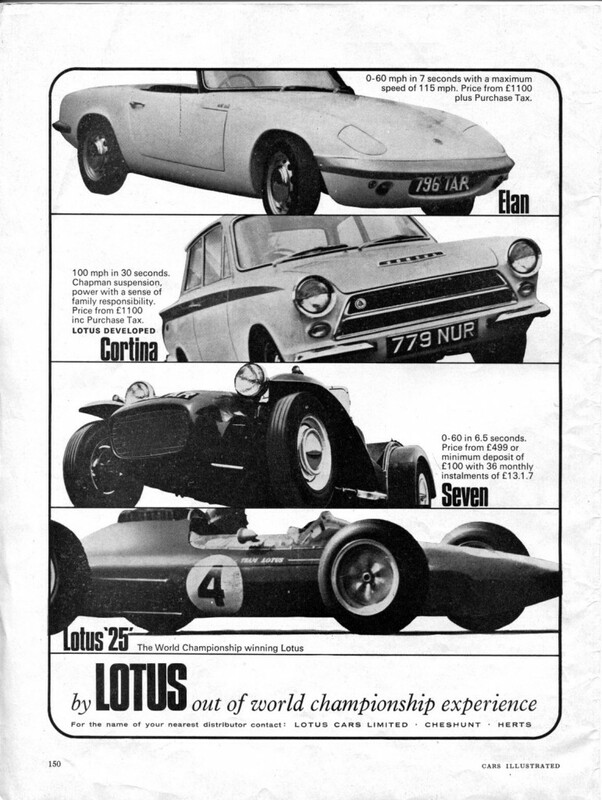 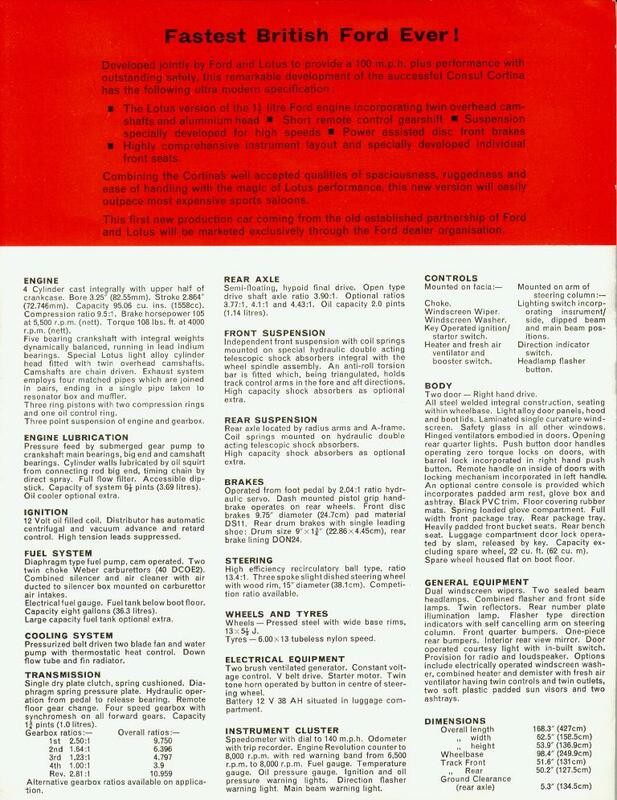 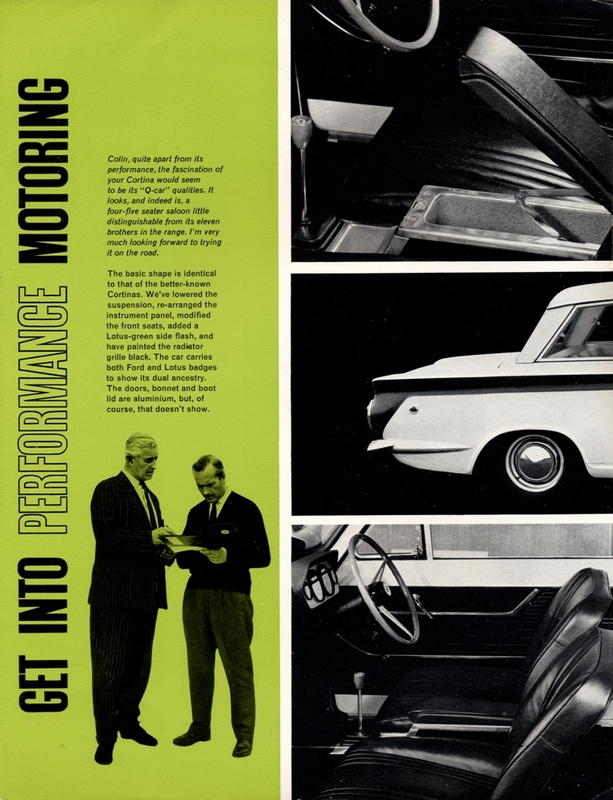 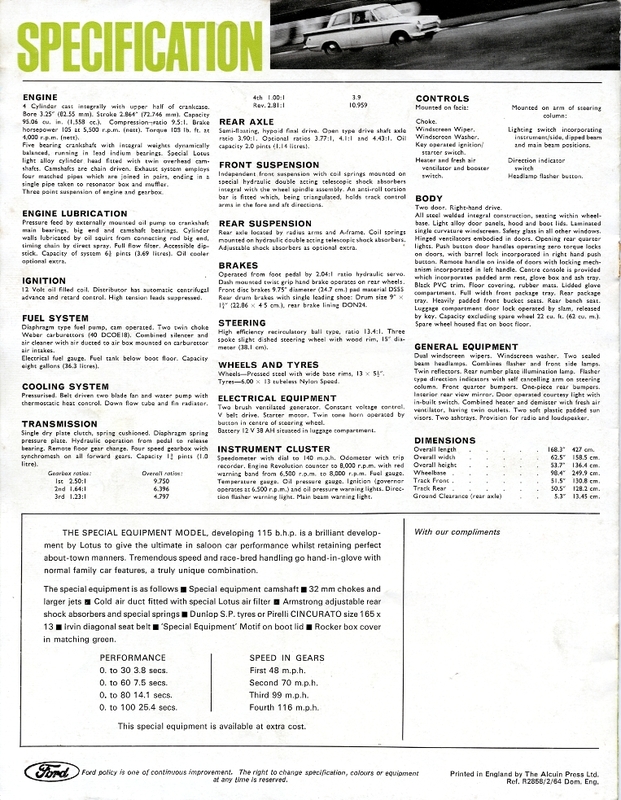 Lotus featured extensively in ‘Cars Illustrated’ in August, and Lotus produced this advert for the copy. 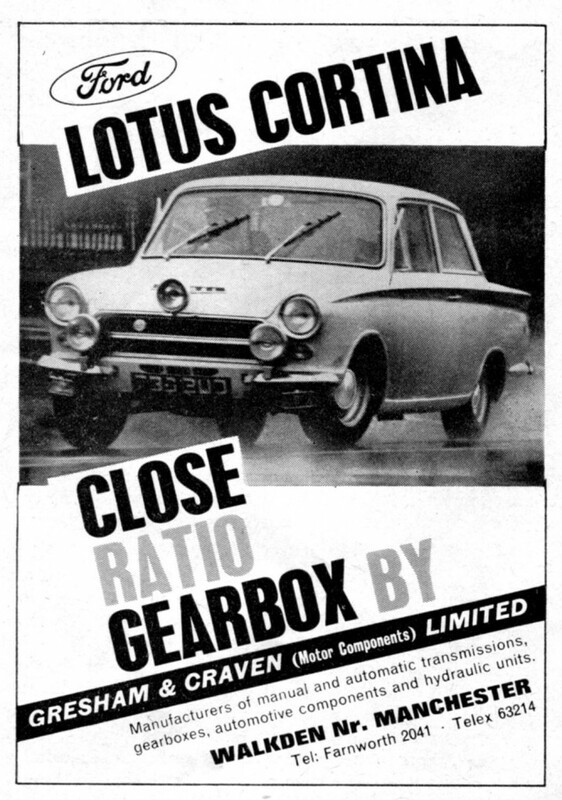 And this rare advert identifies where the close ratio gear cluster was sourced. 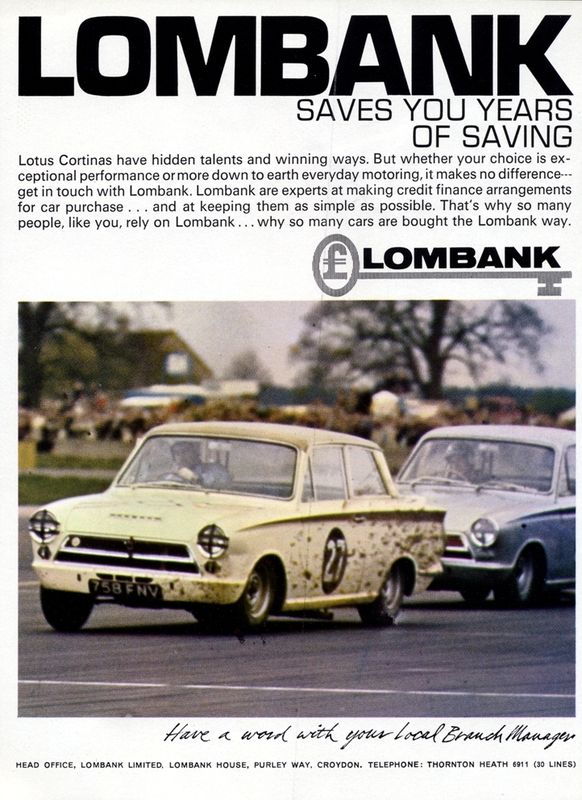 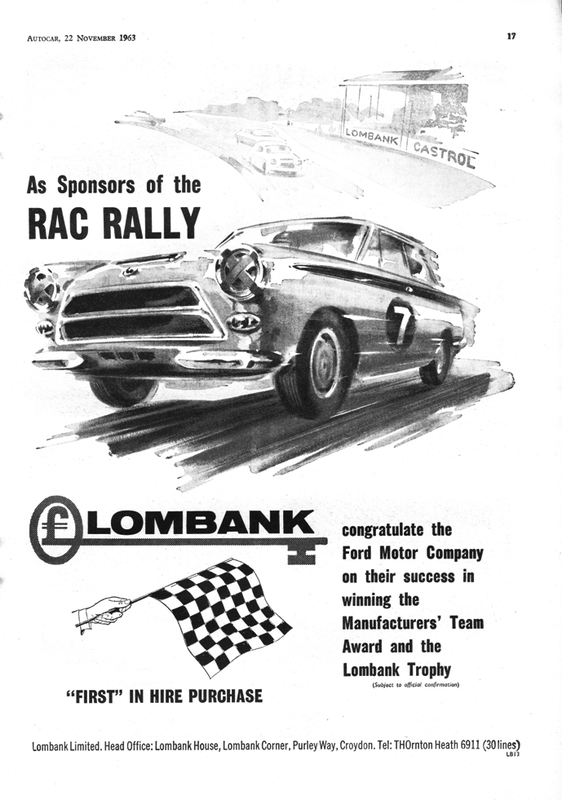 Lombank finally got their race car advert!